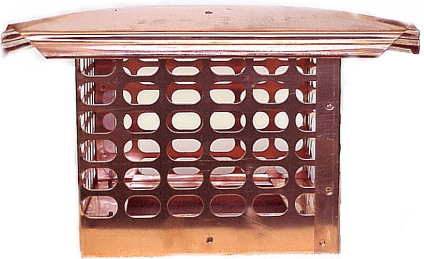 20 gauge one-piece base with built-in screening. 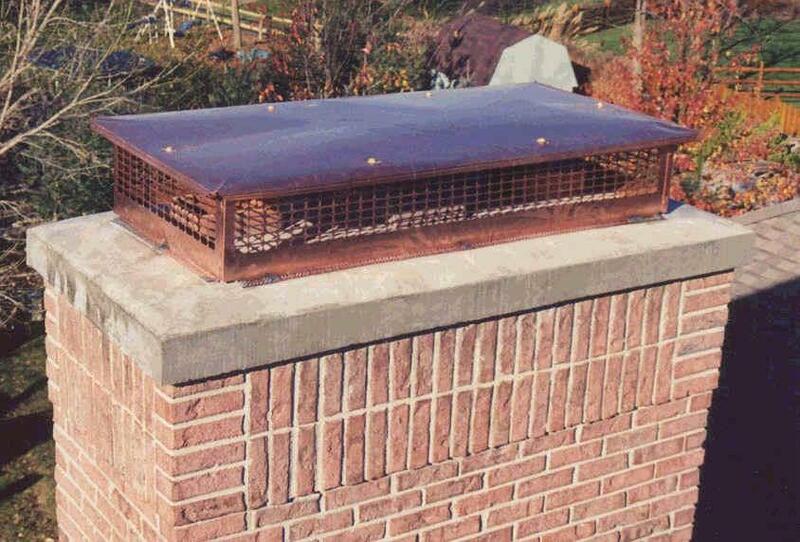 CCC5RM 5" MASONRY RD COPPER CAP 4.75" to 7.25"
CCC6RM 6" MASONRY RD COPPER CAP 5.75" to 8.25"
CCC7RM 7" MASONRY RD COPPER CAP 6.75" to 9.25"
CCC8RM 8" MASONRY RD COPPER CAP 7.75" to 10.75"
CCC10RM 10" MASONRY RD COPPER CAP 11.75" to 13.25"
CCC822 8 x 22 DOUBLE COPPER CAP 6.5" x 21" to 9" x 24"
CCC828 8 x 28 DOUBLE COPPER CAP 6.5" x 25" to 9" x 28"
CCC1328 13 x 28 DOUBLE COPPER CAP 11" x 25" to 14" x 28"
CCC4R 4" ROUND COPPER CAP 3-7/8" O.D. CCC5R 5" ROUND COPPER CAP 4-7/8" O.D. CCC6R 6" ROUND COPPER CAP 5-7/8" O.D. CCC7R 7" ROUND COPPER CAP 6-7/8" O.D. CCC8R 8" ROUND COPPER CAP 7-7/8" O.D. CCC9R 9" ROUND COPPER CAP 8-7/8" O.D. CCC10R 10" ROUND COPPER CAP 9 7/8" O.D. CCC11R 11" ROUND COPPER CAP 10-7/8" O.D. CCC12R 12" ROUND COPPER CAP 11-7/8" O.D. 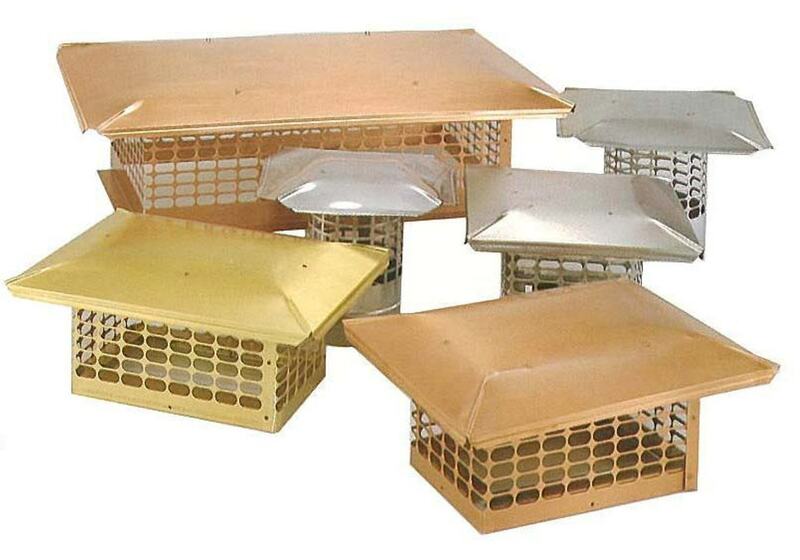 CCCP1419 14 1/2 x 19 COPPER PREFAB 14.5" x 19"
CCCP1616 16 1/2 x 16 1/2 COPPER PREFAB 16.5" to 16.5"
CCCP1624 16 1/2 x 24 1/2 COPPER PREFAB 16.5" x 24.5"
CCCP1818 18 1/2 x 18 1/2 COPPER PREFAB 18.5" x 18.5"
CCCP1824 18 1/2 x 24 1/2 COPPER PREFAB 18.5" x 24.5"